The sensation that erupted last week concerning the charges brought by the Austrian prosecutor against Ramzan Kadyrov offers us a good pretext for discussion – not of Kadyrov and his alleged involvement in murder, but of the situation that is currently faced by Chechen refugees in Europe. The physical elimination of critics of the present Chechen government is by now a topic that is almost exhausted. All of its various aspects have been discussed over and over again, and it is presently the subject of upcoming criminal trials that will feature not only the Chechen leader but also the top Russian government officials who have granted him immunity from prosecution. The history of these extrajudicial killings is rife with new evidence. Now we await transparent legal proceedings in which all the details of the various cases will be consolidated into a single picture. So far, however, Russia is showing little response to the proliferating complaints by the law enforcement agencies of various countries about killings whose trail apparently leads back to Chechnya. Umar Israilov might easily be alive today had the Austrian police done their job properly, without taking any measures beyond those that are prescribed by law. In the summer of 2008 Israilov, one of Kadyrov’s former security guards, who had given the European Court of Human Rights in Strasbourg information about the Chechen leader's personal involvement in kidnapping, torture and murder, appealed to the Austrian authorities to provide him with protection because he believed that his life was in danger. At the same time, one of Kadyrov's assistants, known by the alias “Arbi” (referred to as “Artur K” in the Austrian prosecutor's report), told the Austrian police that he had been sent to Vienna to kill Israilov. He also told them that Kadyrov had a hit list of people he wanted eliminated. The Austrian authorities refused to grant protection to Israilov. They saw "no reason to presuppose danger”. Arbi, who had asked for protection for himself and his family, was deported back to Russia. In January 2009 Israilov was killed. After his extradition Arbi disappeared, and the report of the Austrian prosecutor suggested he was no longer alive. Another witness in the Israilov case who had pointed to the identity of the actual killer, was found dead in Azerbaijan. There is, of course, nothing new in the fact that European states routinely ignore reports by Chechen refugees of alleged harassment and persecution by Kadyrov's agents. Part of the blame lies with the refugees themselves, since when they apply for asylum the vast majority of them do not tell the truth, and claim to have been members of the resistance or opponents of the government and therefore subject to reprisals. I agree that it is no easy task to pick out the few dozen genuine claimants from the many thousands who use the war in Chechnya as a way to improve their financial situation. But with the amount of information that has now been collected by the human rights organizations, both in Russia and abroad, it is hard to believe that the task is impossible. Israilov's case is particularly shocking, less because his statements were disbelieved (that is fairly common) than because no credence was given to the very real threats emanating from Arbi, whom Kadyrov had sent to Vienna. 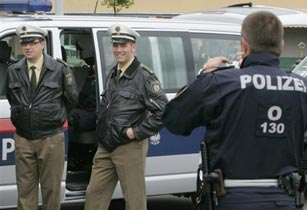 After all, the Austrian police had a recording of their interview with Arbi. Also, it would have been easy to determine whether the testimony contained in Israilov's complaint to the European Court was authentic, since it exactly matched the data on prisons and torture that had been collected by the human rights organizations. Those same organizations pointed out that Israilov was not an ordinary refugee. There were many ways to tell whether his life was in danger, and none of them were used. Today Austria has at least three Chechen deaths on its conscience, and an unknown number of people who have been tangentially affected – relatives, friends, associates. The Austrian practice is not unique. Other European countries behave in a similar fashion. The number of extraditions of Chechen refugees from Germany, Norway and the countries of Central Europe is increasing month by month. People who have escaped from a country at war must produce certificates and documentary evidence, they must prove that they have been persecuted. In most cases those documents are, of course, missing. The fact remains, however, that while Europe has the right to defend itself against immigrants who are merely in quest of a higher standard of living, it does not have the right to become complicit in extrajudicial killings.